This comic novel is a lighthearted coming-of-age story, placed against the backdrop of the Beatlemania era in the early and mid-1960s. The story poses this question: Can a friendship between two pen pals, living on separate continents, lead to something much, much more? It’s the summer of 1963 when we first meet Ricky Kramer (in New Jersey), and Maggie Carter (in Liverpool), who have been sharing their enthusiasm for the Beatles. Maggie has regaled Ricky with her stories of seeing the group perform often at the Cavern club, and has sent him the Beatles’ early records, giving him a jump on the rest of America, before the Fab Four’s invasion. Their friendship begins to blossom into something deeper than a typical correspondence. Even their friends sense that the two are truly kindred spirits, perhaps even soul mates. But can Ricky and Maggie’s relationship grow when they are separated by the Atlantic Ocean? 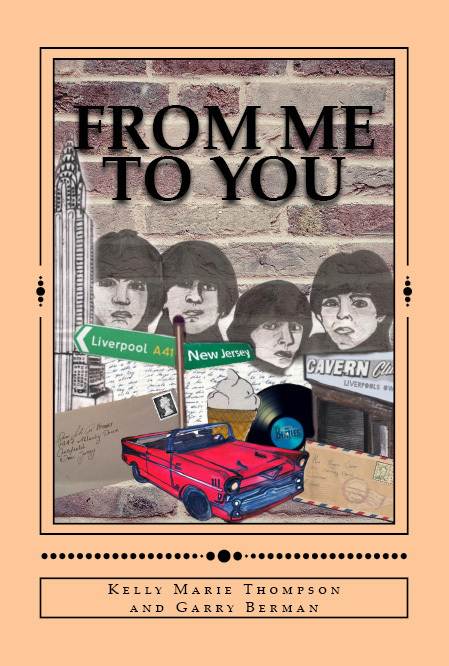 From Me To You follows their often comic transition to young adulthood, on both sides of “the pond.” Whether you were a teenage Beatles fan in the ‘60s or years later, you will likely recognize yourself in Ricky, Maggie, and their friends, as they get swept up in Beatlemania, while learning a few of life’s lessons along the way.